South African Bongmusa Mthembu claimed his first Comrades Marathon victory on Sunday, winning in 5 hours, 28 minutes and 34 seconds. The Woman’s race was won by British born Canadian runner Eleanor Greenwood with a time of 6 hours, 18 minutes and 14 seconds. On Sunday, 01 June 2014, the 89th Comrades Marathon took place. This year’s down race was 18,000 members strong and had ambassadors from 14 different countries. 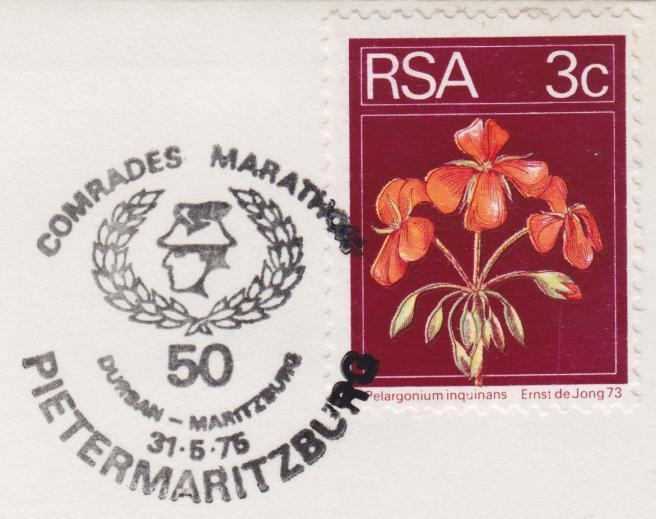 Lets take a look at 5 Precedents in this South African ultra marathon’s history. No one could forget it, but it is always good to have a reminder of how and why this amazing race began. The Comrades Marathon is a fitting memorial to the almost 10 million fallen heroes of World War I. A young soldier name Vic Clapman got the idea from the Stock Exchange Walk in England. He approached the athletics board with his idea and was refused, so he took his plight to the League of Comrades of the Great War. They thought that the proposed race was too strenuous, and turned him down. A true soldier, he did not give up and he finally achieved victory in 1921. He acquired a loan of 1 pound, published an article in the newspaper, and distributed entry forms from his home in Pietermaritzburg. 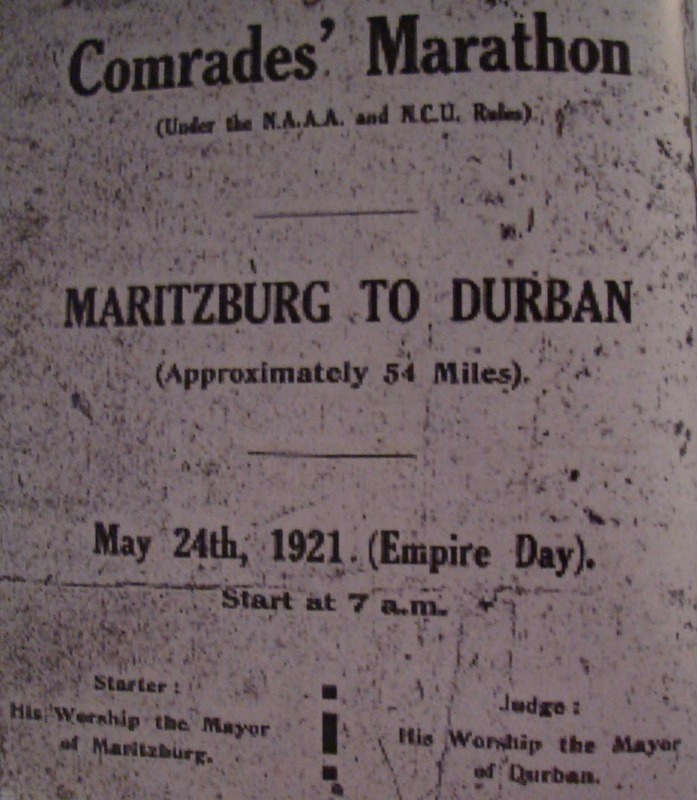 On 24 May 1921 the first race was run; 34 runners made their way from Pietermaritzburg to Durban, 89 kilometres, making history with every step. Back in 1923 women were not allowed to run the marathon. This did not however discourage the persistent Frances Hayward. She ran the race anyway, although knowing she would receive zero recognition. The time limit in the early days was 12 hours, and Frances completed the Comrades in 11 hours 35 minutes, propelling her into the history books as the first woman finisher of the Comrades Marathon (albeit an unofficial participant). No picture exists of Frances Hayward, but the above photo is of Marie- Louise Ledru. She was the first woman recorded running such a distance. 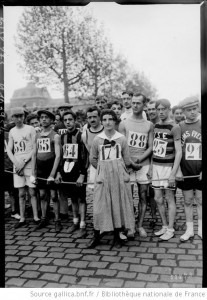 She ran the Tour de Paris marathon (42.294kms) on 29 September 1918 in a time of 5 hours 40 minutes. Frances took her place in the history as the recorded holder on 24 May 1923 (42kms in 5 hours 12 minutes). In 1965, Ian Jardene, 63 years old and completely blind, finished the comrades. Since then, he completed the marathon 14 times with the help of various guides: John Wood, Willlie Pretorius, Fred Morrison. The Jardene Joggers Association has since been founded in his honour, and to date has more than 200 members and 300 guides. After 54 years and 50 Marathons (no marathons were run in World War II 1941 – 1945), the face of the race was dramatically changed. The Golden Jubilee (50th race) marked the first non-discriminatory event. Women and people of colour were permitted to become official participants of the Comrades Marathon. 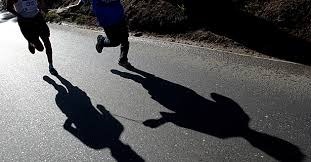 Instead of finishing a race and being hustled empty-handed out the back door, these members of society could finally be recognised for their spirit, determination and perseverance in the ultra marathon. The first black runner to complete a Comrades (unofficially) was Robert Mtshali in 1935 with a time of 9 hours 30 minutes. Many people of colour competed and finished over the years, but it was Sam Tshabalala who took the official title as the first black man to win a Comrades Marathon. Sam clinched 1989’s down run, with a lightning speed time of 5 hours 35 minutes and 51 seconds. 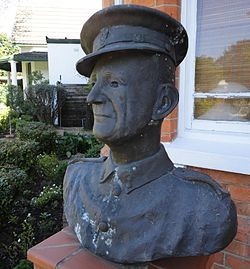 Sam’s win also prevented Bruce Fordyce from claiming 9 consecutive victories, and essentially ended his reign of fire. After this victory, many expected a repeat, but a car accident sadly held him back. Though he did not win another marathon, like a true champion he did continue to run. 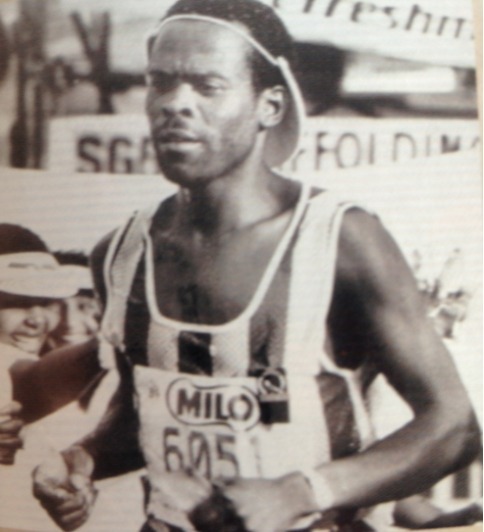 He received another 4 silver medals, and a Platinum Medal in recognition of his contribution to the Comrades Marathon. Copyright © 2019 All Fuels. Powered by WordPress. Theme: Accelerate by ThemeGrill.